I remember when I first realized that TV networks often have ‘specials’ worked up about famous people to be aired in the event of their death, long before that actually happens. While it makes good business sense, I felt gypped somehow. Somewhat similarly, when there is a new face in the news, you see a scramble to be the first book publisher to come out with a biography. Sometimes astute publishers and authors have had an inkling that an individual’s time was coming – at other times, you can see it came down to grabbing any accessible information and putting it into print in time to beat a deadline. 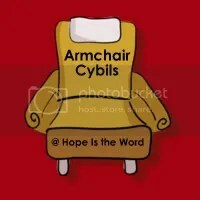 *To find out what I thought of this one, head over to amomssparetime.blogspot.com. I loved everything about this book from its conversational yet non-judgmental tone to its design. 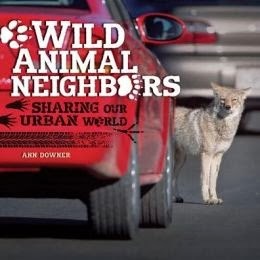 Seven animals are highlighted in short, attractively organized chapters featuring plenty of crisp, full-color photographs, well-placed text boxes and sidebars, an introduction, an epilogue, which explores ways of making cities more eco-friendly, and plentiful back matter. The only thing missing was a glossary which is a minor quibble since the neat vocabulary, such as plasticity and habitat fragmentation, are nicely defined within the text. Still, the teacher in me likes having a glossary of terms set apart for further reading. Full review may be found at Proseandkahn. A Splash of Red: The Life and Art of Horace Pippin by Jen Bryant and illustrated by Melissa Sweet has been landing on a lot of “Best of 2013” lists (New York Library, for example) and for good reason. First of all, Jen Bryant and Melissa Sweet are an experienced team. They worked together on the Caldecott winner, A River of Words: The Story of William Carlos Williams. Secondly, Horace Pippin’s life is inspirational. He overcame great adversity, including losing the use of his right arm, to go on to produce museum-quality folk art. When you add it all up, this is a picture book biography that should be on your radar. Want to learn more? Our full review is at Wrapped in Foil. Have you also reviewed this title? Please feel free to leave a link in the comments. Get Into Art Animals: Enjoy Great Art–Then Create Your Own! Booktalk: Is spending more time creating art a New Year’s resolution at your house? Meet 12 master artists and then make some art of your own! Create animals in each artist’s style. Learn techniques for chalk pastel, stencil, collage, and more! Landseers’s work is very detailed, but you can paint furry animals in different ways. Try these! 1 Use a square-ended brush to paint the basic shape–it could be a dog like this, or your own pet or other favorite animal. 2 With a clean brush, add downward streaks in a lighter color. Source: Orange County Public LibraryBuzz and his pet Fly Guy have wandered into the realm of nonfiction. The two buddies visit a space museum and find a treasure trove of facts. They start big with a definition of the universe. This leads to a mention of the 8 planets (Pluto, we miss you!) and a quick fact about space probe Voyager 2. An explanation of gravity and how the sun pulls the planets is the next stop on the museum tour. Other subjects explored include smaller objects in space including meteoroids, astronauts, and spacecraft. Since this is a book for early readers, you are going to get a lot of facts and not much depth. I think this is the right way to go for this age. Another plus is the use of a well known character like Fly Guy to pull more readers into nonfiction. Fly Guy Presents: Space isn’t a book that you would use for a mentor text, but that’s okay. Its purpose in my classroom would be to act as an alternative to the vast majority of fiction books for early readers. Put it in a kid’s reading basket and be prepared to share!